When I chopped off a big chunk of my hair to bring it back to a healthier state, I have, finally, admitted that my hair will never be healthy and beautiful as before if I don't take good care of it and taking care it. Keeping our hair healthy and beautiful isn't something we do out of just superficial reasons. Our hair is part of our system and it protects our head from being overly exposed to various things especially the harmful rays of the sun, right? So, why not take good care of that beautiful crown atop your head that also takes good care of you? Fair deal? "Its lightweight formula films the hair's cuticle with a veil-much coveted radiant shine. Protects against UV and other harmful chemicals and prevent hair static." The packaging, itself, is good. I love how uncomplicated it is and easy to carry around during my travels. 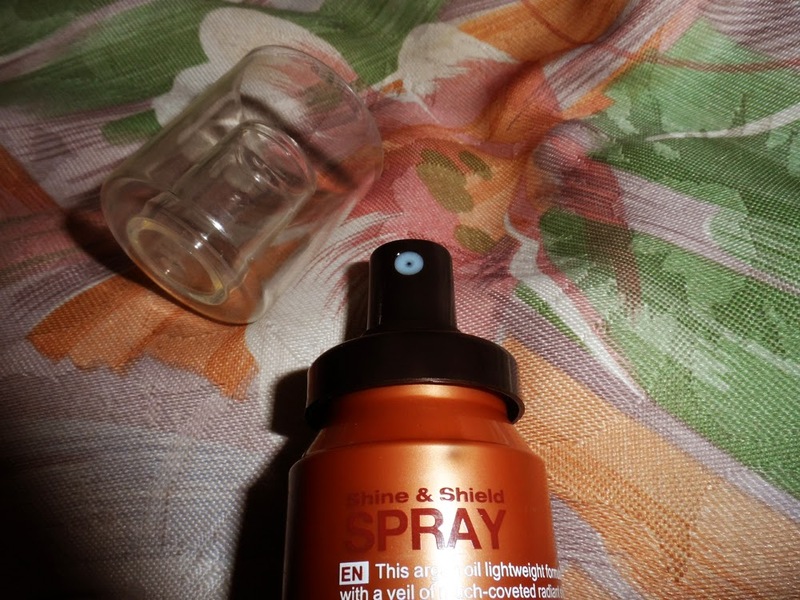 Since I often travel, this is really a good deal especially with all its claims on how it can protect the hair from the UV rays. 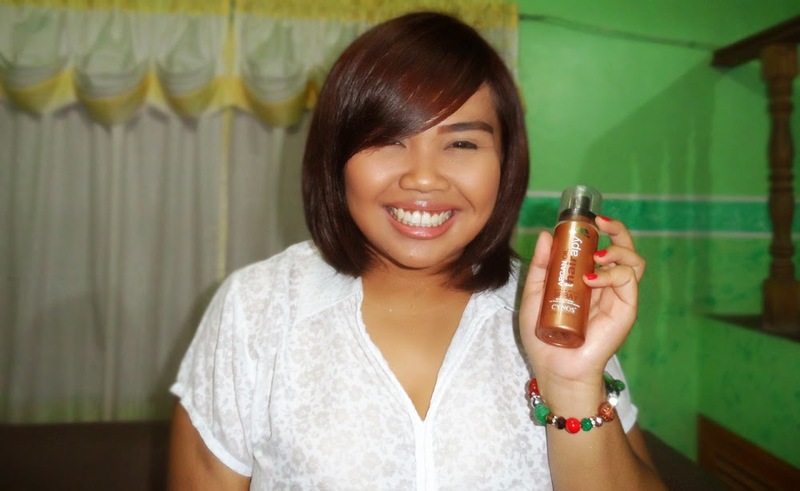 After using it, I have witnessed how it gave a beautiful shine and made my hair instantly softer and more manageable. It's not one of those hair shining products that makes your hair feel heavy and just adds up on the hot temperature. True to its claims, it is lightweight, the argan oil scent is superb and I am, sincerely, hoping that it can help me, continuously, maintain the beauty of my new hair. Although I love the aesthetic part of the packaging, I hate how the cap gets off easily and can, sometimes, be hard to put on. I almost lost the cap a few times, that's how bad it is. Follow the instructions because if you don't, you might get a heavyweight-feeling product on your hair and nobody likes an overly-shined and oily-looking hair; unless, of course, you are my mom 15 years ago, when she would apply too much Suave or hair shine on our hair because she feels like it's what looks good. A must-have if you love taking care of your hair. I am giving this product a 9/10. A definitely recommended product to keep your hair shiny, lovely and protected. Although, some people I know may not be a big fan of it. hence my rating), I know it would still be a good score. Well, it is for me. Isn't that enough convincing? Haven't seen you short hair yet! Looks like you are happy with it. I heard argan oil benefits but hmmm for hair i go for keratin! 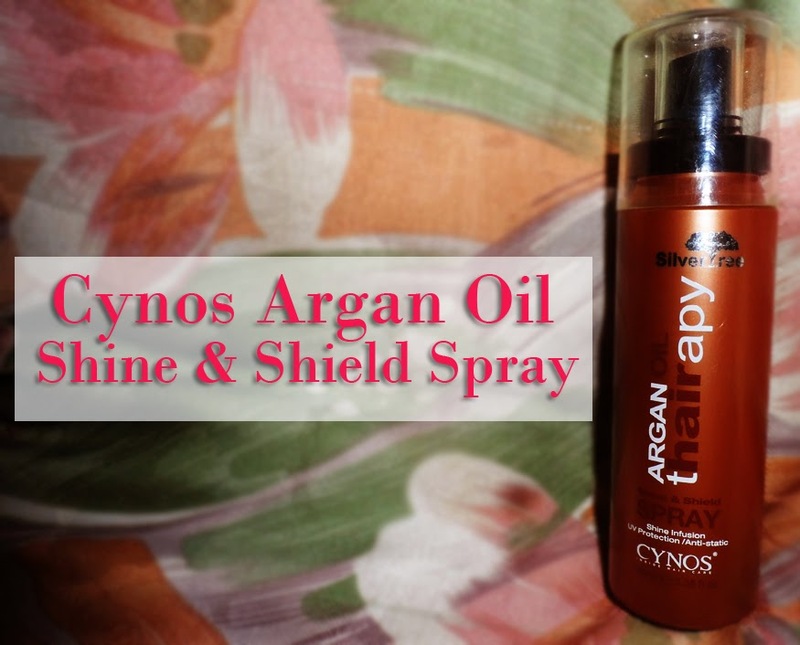 May I ask where to buy Cynos Argan Oil Shine & Shield Spray and how much?